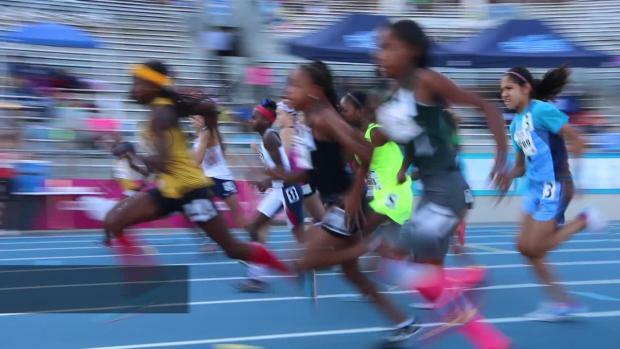 The daughter of one of the NFL's biggest showmen of all-time is headed back to the AAU Junior Olympics to vie for her third straight championship in August. 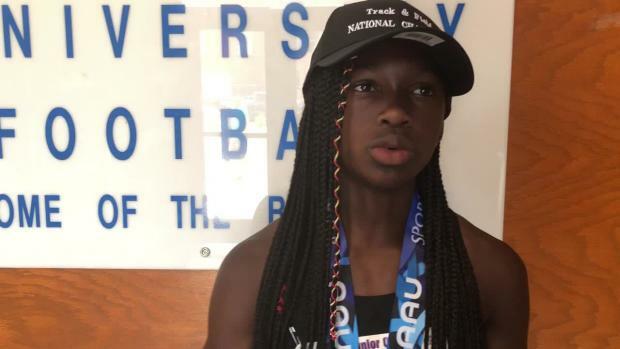 But where Chad Johnson -- a former wide receiver in the NFL who was once known as Ocho Cinco -- was once a heralded sprinter who famously beat a race horse at Belterra Park in Cincinnati, his 12-year-old daughter, Cha'iel, may be verging toward a different path in track and field. The Miami Gardens Xpress Track Club athlete could be an up-and-coming mid-distance talent with a future in the 800m and 1500m runs. "I have to tell her mom and dad," says Darius Lawshea, who has coached Cha'iel for the past three seasons with MGX in South Florida, "You know this kid is going to dominate. She's going to shock some people." Cha'iel is currently the No. 1-ranked 800m runner in the 12-year-old club girls division with a time of 2:16.35. But next week, Lawshea said he wants to show Johnson can race up in the 1500m at the AAU Club Championships at the ESPN Wide World of Sports Complex in Orlando, FL. "I believe she's going to drop the hammer next week at Disney," he said. "...We're going to win it, and she will challenge the record." 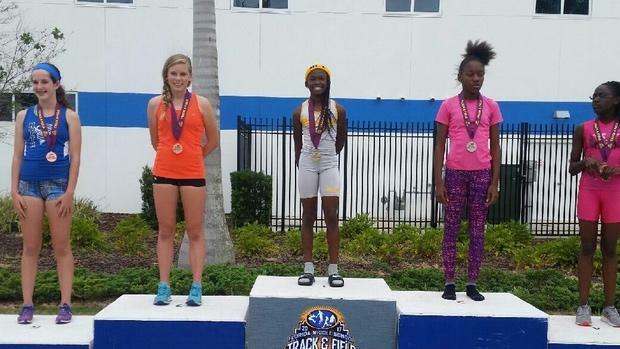 Johnson has won two straight AAU Junior Olympic championships over her age groups in the 10-year-old and 11-year-old divisions, posting a time of 1:01.57 seconds in the 400m in 2015 and a time of 2:19.60 in the 800m in 2016. But as Cha'iel continues to mature, Lawshea said he believes he's starting to see a different gear past 400m, noting Johnson doesn't slow down and "it's like she has a battery pack." He said she can run around 2:12 to 2:13 on her own. Naturally, that strength in the mid-distance events butts up against a family history in sprints. Her father was once considered one of the best route runners in NFL history and among its fastest receivers of all time. For what it's worth, Cha'iel, who won a FLYRA Middle School Championship in the 800m in 2:17.84, has run 26.45 seconds in the 200m and 58.16 in the 400m. Both times would land in the top 10 in the 12-year-old girls club rankings. "But she runs the 800m like two 400s," Lawshea said. 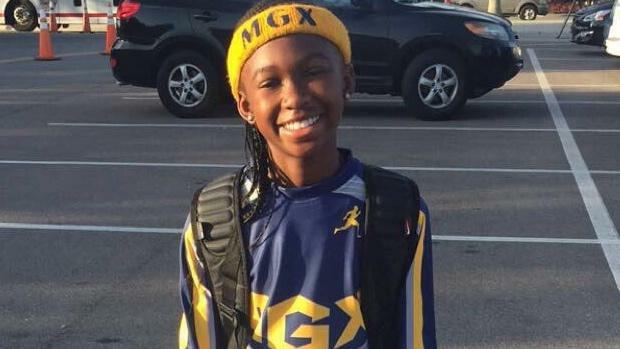 "She reminds me of (Missouri world age-group record holder) Brandon Miller. He runs a 48 second 400 and can go 3:59 in the 1500. That's sick." Ultimately, Lawshea's experiment in the 1500m may have a life after the Club Championships. 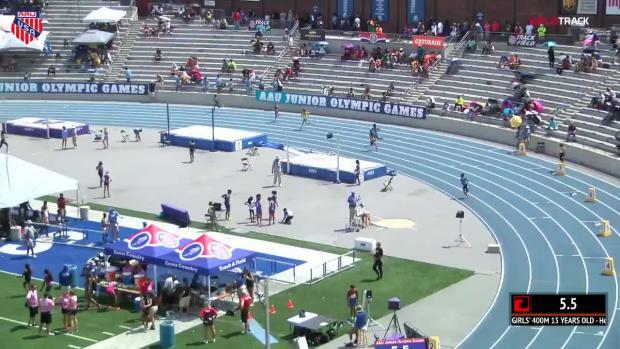 If Johnson runs well in the 1500m, Lawshea said he might suggest the 12-year-old race in the 400m, 800m, and 1500m at the AAU Junior Olympics, which takes place from July 29 to August 5 at Eastern Michigan University in Ypsilanti, MI. 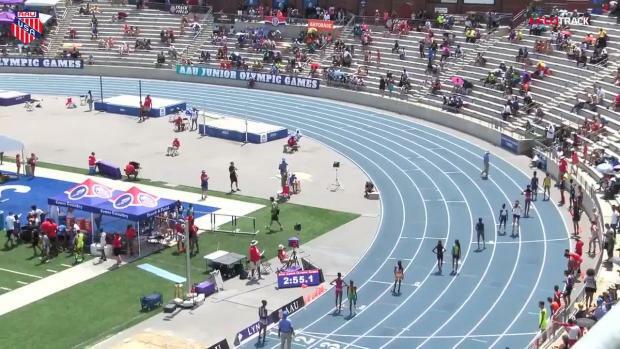 The current 12-year-old national leader in the 1500m, Krianne McBride of the Texas Thunder Track and Field Club, has run 4:56.99 in the event. The world age-group record is 4:24.96. 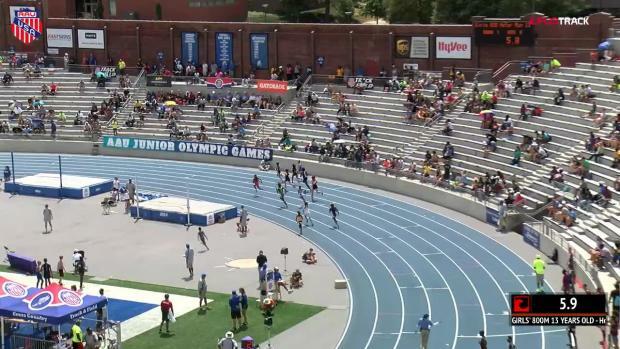 As it stands, Johnson is slotted to run in the 200m, 400m, and 800 at the Junior Olympics. 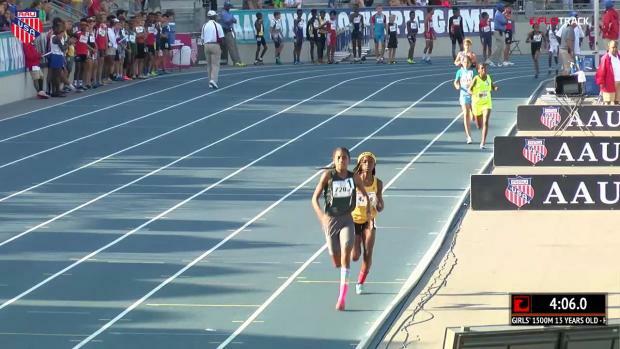 "She has the potential to break a record every time she steps on the track," Lawshea said. "We train to front run, and we're always chasing the clock. We're going to go at it from the gun." But regardless of how her races turn out, there's undoubtedly a bright future for Johnson in South Florida. Her dad is one of her biggest fans, often posting about her on social media. And Lawshea said she's one of the emerging faces of MGX -- which has also produced talents such as Tyrese Cooper and Jamal Walton. "I call her my McDonald's commercial," Lawshea said. "When it comes to training, she's that Big Mac with the cheese all even on the sides, special sauce, just beautiful. What you see is what you see. You don't hide the cheese. She trains the hardest and doesn't cut any corners." Lawshea said Johnson is talented enough to train with the 12-year-old boys. "This is how she trains," Lawshea said. "She's like no other. The boys don't even like her to practice with them; she'll out work them." He thinks Johnson has a knack for competition. But it's not a secret where it comes from, either. "She has the heart," Lawshea said. "She trains like she knows she wants to be the best. Chad gave her something great as far as instinct. But she takes training like a grown person. And when it's all over, she knows how to be a kid, too."